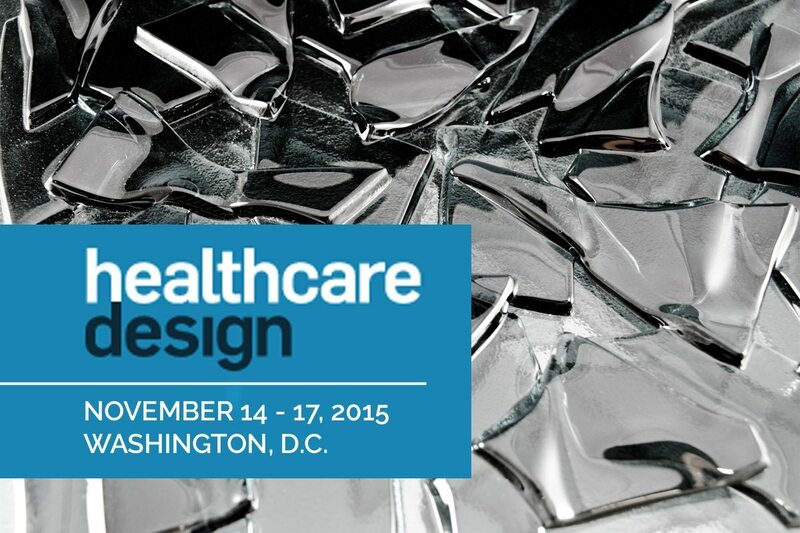 Healthcare Design Expo. Simulating cracked or melted ice, Crackle Glass is produced by using exclusive kiln formed glass fusing and laminating techniques. This Architectural Glass is composed of three layers of various textured glass types, which are fused together and laminated to mirror, to create safety glass. Ideally installed in cladding applications, light enters through the Crackle Glass and Textured Glass panel, while the mirrored back panel reflects the light back through the Crackle Glass. This reflective feature highlights the Cracked Glass, creating a sparkling effect that simulates the multi-faceted brilliance of diamonds. Crackle Glass is produced in Clear, Low Iron, Aqua Blue, Blue, Bronze and Black glass colors. 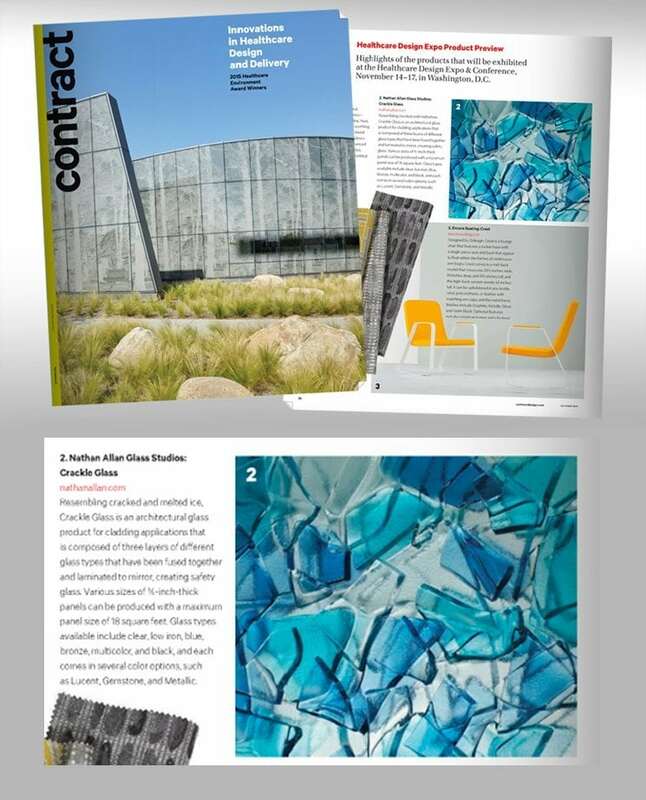 At the Healthcare Design Expo & Conference, we launch a new national advertisement of our Crackle Glass in Contract Magazine!